Is a stand that can hold and elevate larger and heavier pieces of film equipment on a telescoping post that is operated by a crank and held in place with a locking lever. 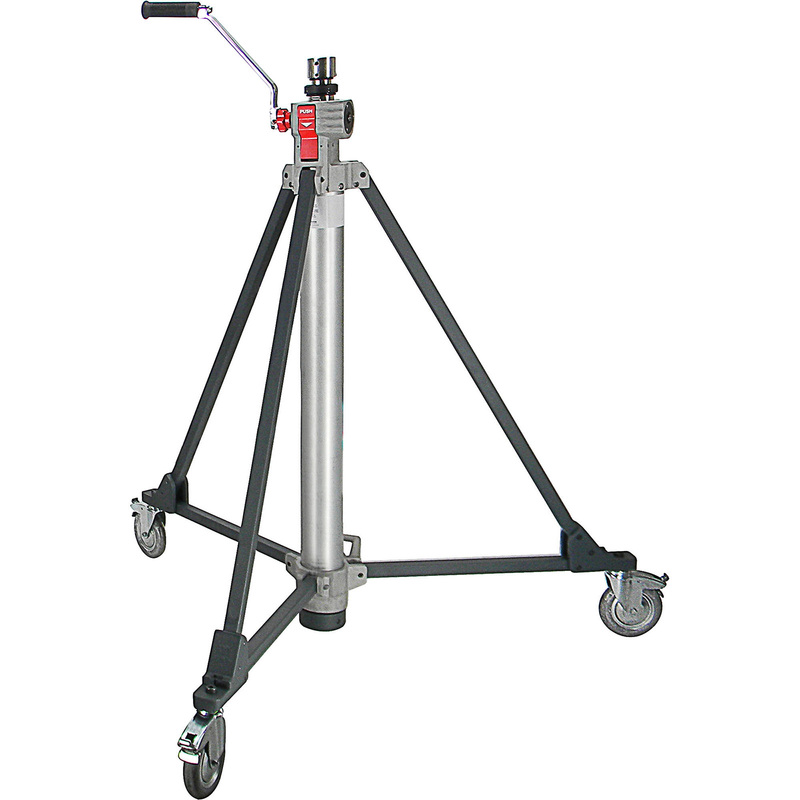 A crank-o-vator is is a heavy-duty rated light support stand that has the specific feature of a chain driven, hand-crank. A junior pin equipped lamp is installed into the junior receiver at the top of the stand and then the operator presses a release button with their left hand fingers allowing them to operate the crank mechanism. There is a chain pulley system inside the stand that give the operator a specific mechanical advantage allowing a single lamp operator to raise considerably heavy lamps up to elevations approaching 12 ft above the ground as measured to the top of the junior receiver pin on the the stand.